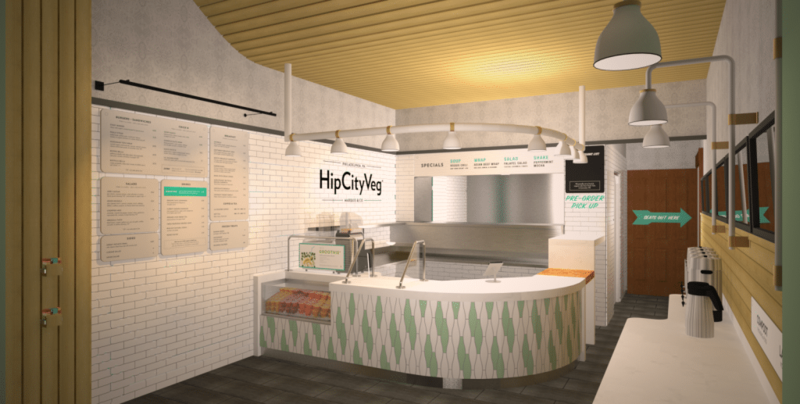 Here’s a bit of news that will certainly end our 2016 with a bang: on Thursday, December 15th, we’re opening another HipCityVeg location on Broad Street in Center City Philly! Just steps from City Hall on the ground floor of the North American Building, we’re expanding our plant-based lifestyle in the City of Brotherly Love. But wait, there’s more: now you can eat plant-based for every meal with our brand-spankin’ new breakfast menu. The new location at 121 S Broad Street will be offering our plant-based breakfast items, including our Lox & Loaded Bagel made with delicious carrot lox, HipCity Breakfast Sandwich with tofu egg and tempeh, Maple Peanut Butter & Banana Sandwich, and of course, La Colombe coffee. And don’t worry—we’ll be open from 7am-7pm, serving up our full menu with all your HipCity favorites. Come celebrate the grand opening of our newest location with us. It’s all happening at 121 S Broad Street on Thursday, December 15th. Even better, we’ll be giving away our famous sweet potato fries on opening day from 12pm-1:30pm. Yes, free of charge. (We know). Whether you’re coming in for your Thursday lunch break or just passing by on Broad, we hope you’re down for a party. Here’s to a new year filled with morning veggie pick-me-ups and even more plant-based living in Philly! Embracing healthy bodies, a healthy planet, and compassion for all living things, we bring delicious vegan food to people everywhere.